Retro design is one of these things. Sometimes it goes horrible wrong and sometimes it makes us perfectly happy. The Ford Mustang and the BMW Mini, both showed us how to make a retro design best selling car. 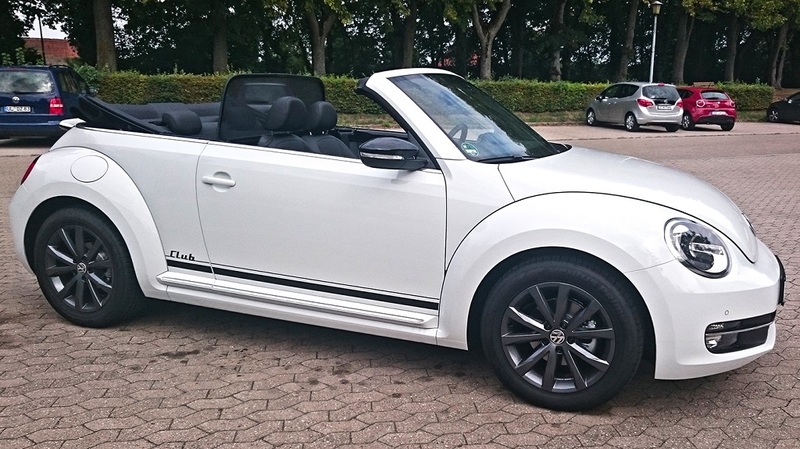 But VW already tried the retro design 1998 with its „New Beetle“ and if you ask me – it was horrible. But time went by and in the year 2011 its replacement showed up at the dealerships and this is a whole different story. For me personally, Volkswagen is probably the company which can be named the most german car company of them all. I think it really fulfills all prejudices which you may have about german engineering. 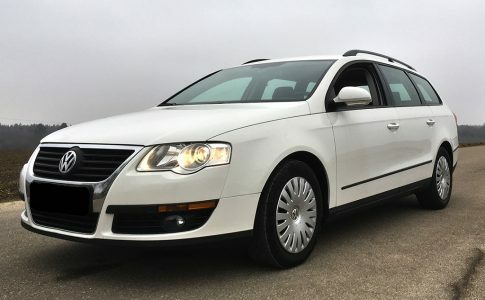 The VW cars are almost always good, well thought, practical, funktional and everything makes perfect sense, but unfortunately all that together is sometimes a bit boring. At least, that is my opinion. But there is one car which is definitely not boring and that is the Beetle. One of my first girlfriends in the 90s had an old bug out of the 70s and she took me for some rides with it, through the ice-cold german winter in this ice-cold old car. Quiet an adventure! So, I always had some good memories about the bug and I thought it is really a piece of German car history. 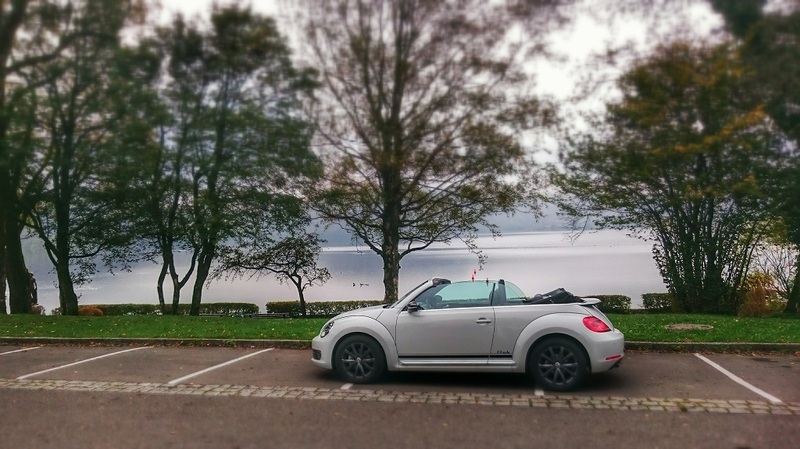 I almost lost that love for the car when the „New Beetle“ came up, but 2011 brought all my feelings back and first time in my life – I was ready to buy me a Volkswagen of my own. Of course you can always argue about design but I personally think the Beetle design is really great, now. Only the names of all these models are confusing me. 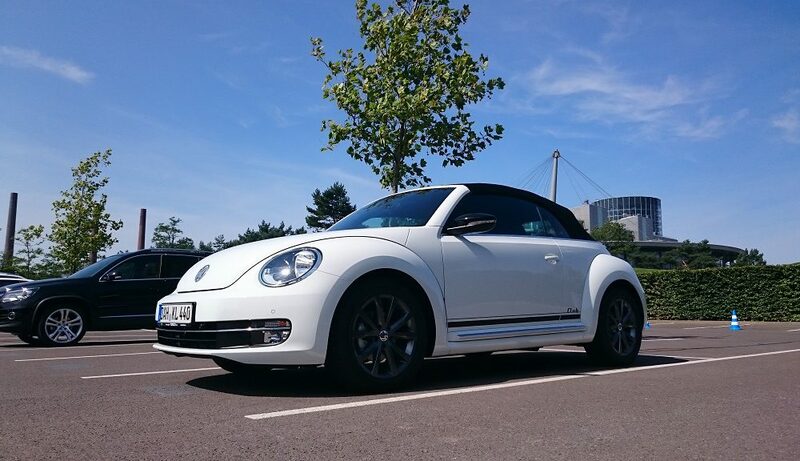 In Germany the original Beetle was called Käfer. Than they came up with the New Bettle and now its „the Beetle“. Why does every name in Germany needs to be in english, at least regarding to those marketing guys in all those big companies who make a lot of money for stuff like that? Well I know! 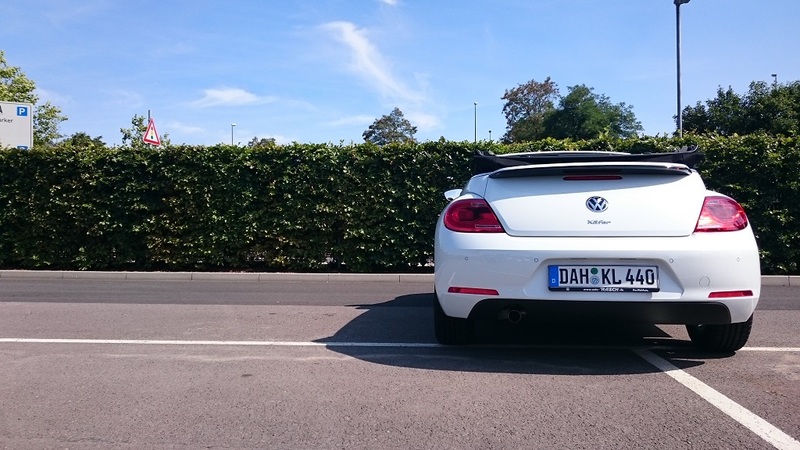 I bought an special „Käfer“ sign for my car which did cost my an extra 50 Euro. So, thats how you make money, right?! 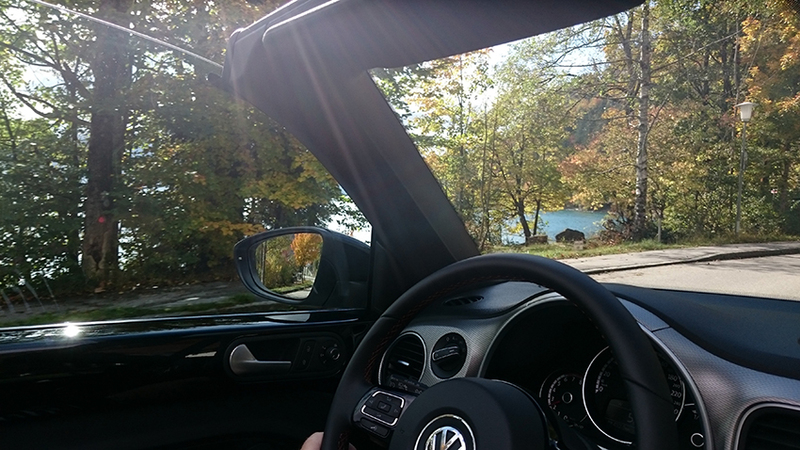 If you buy yourself a Beetle today you may choose between many engines from 105 hp up to 220 hp. I did test some of the cars and none of it was bad. Even the small 1.2 liter engine with the 105 hp turbo is not a bad choice and brings some fun, at least if you like to shift a lot. Thats actually quiet good for a car with a weight of 1395 kilograms. The 150 hp engine maybe a better choice and everything above it, is great anyway. 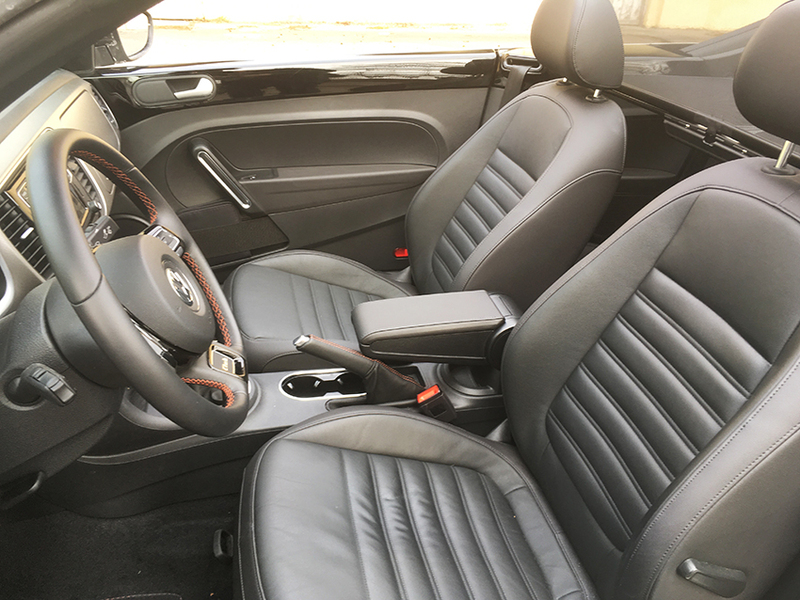 Just in case if your order a new Beetle today, you are lucky, because there was already a 2016 facelift with LED backlights, a new front skirt and some other minor changes. 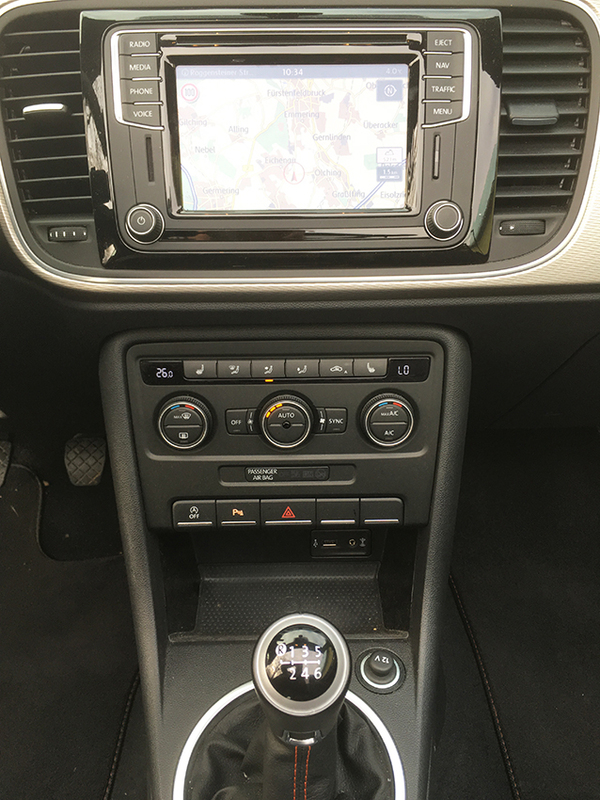 My test-car is a 2015 convertible and it already has the most important improvement for me on board, the advanced 2015 navigation system. 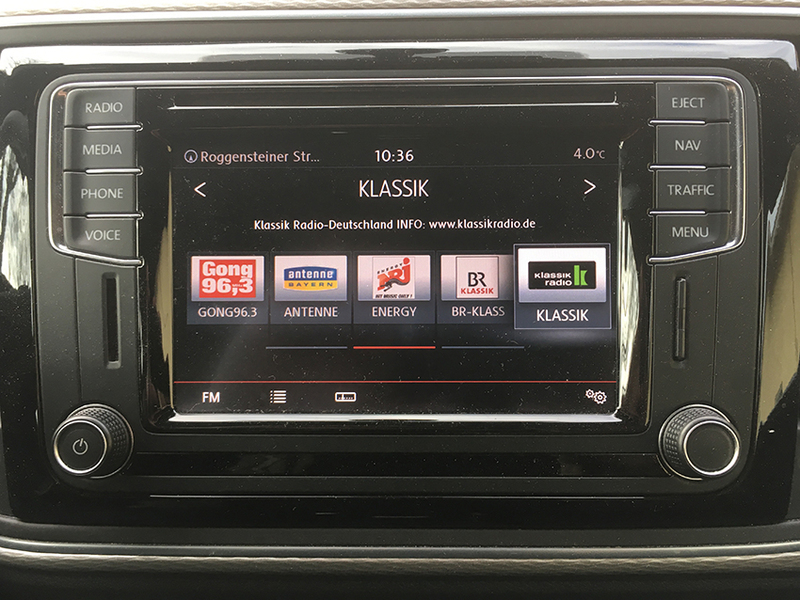 In VW-german-english it`s called „Composition-Media with the Discover Media Navigation.“ But it`s really a highlight of the car to me. It comes with SD, USB, Aux and 8 speakers for good sound, even when you drive with the convertible-top down. 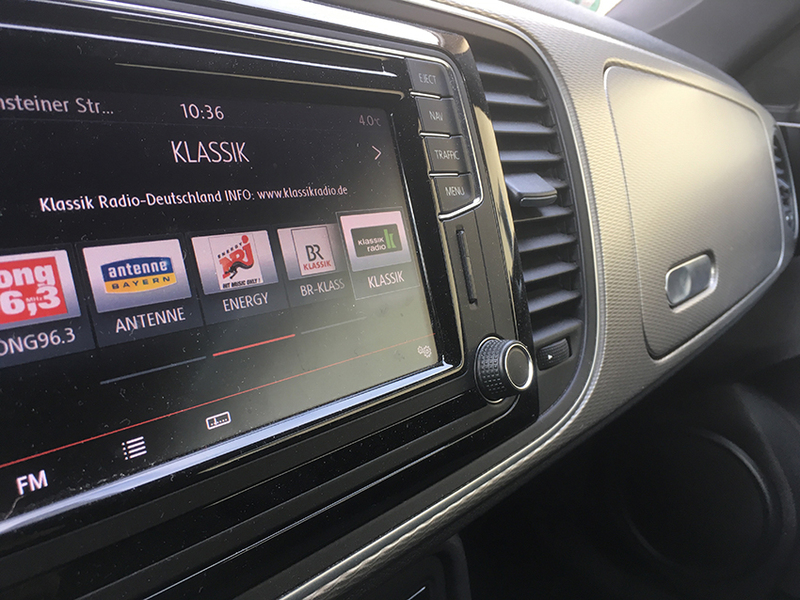 The radio works really well and catches a lot of stations while radios in many other cars don`t do that very well very often.The Navigation itself works simple, clear and it never let me down so far. 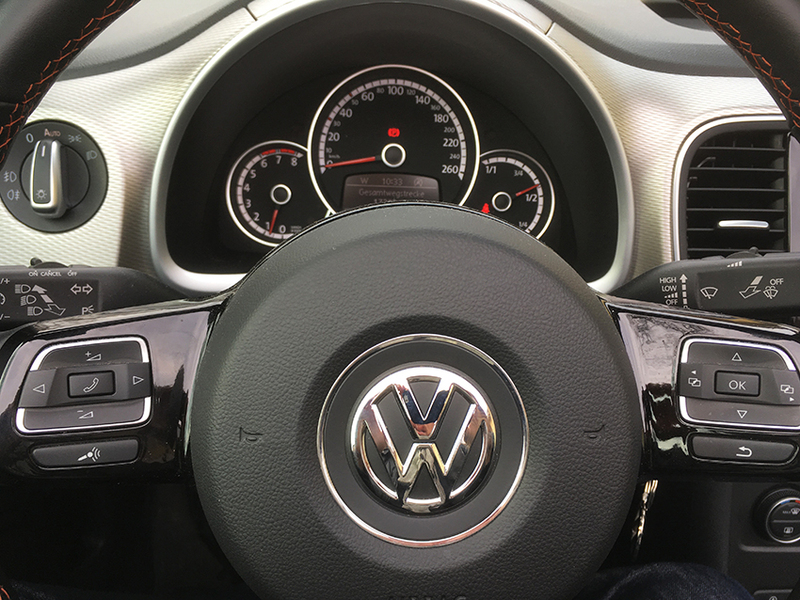 That is german VW perfection – well actually German-Mexican perfection because they build the car in Puebla/Mexico. Anymore highlights? 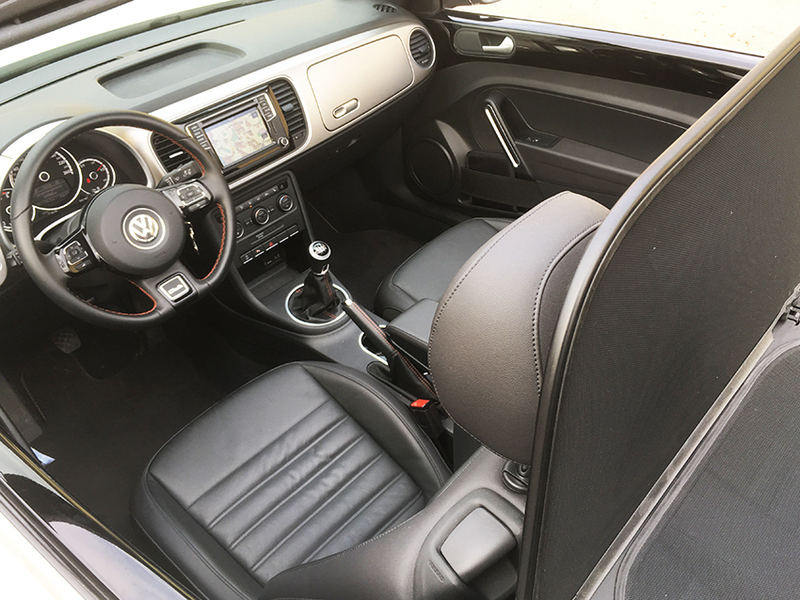 Together with the draught-stop there is not a lot of back-draught in the car, the position for the driver is good even when you are a tall person and the leather „Vienna“ package with heated seats is a nice extra. Well, maybe the modern city-lady may think that the Beetle is a big chubby and she may be right, especially if you compare it to it`s competition – the Mini. At least it`s probably not that easy to park it in the Munich city center with a length of 4,28 meters and a width of 1,81 meters. But there is hope on the horizon, the Minis also getting bigger and bigger all the time. Other than that, nothing to complain about? Not much. The trunklid is a bit small and offers barely enough space for my camera bag but on the other hand thats pretty common for convertibles. But if your bag makes it through the lid, there is this dark cave which offers you at least 225 liters of storage. Thats not that much either but if you don`t choose the convertible than you have none of this problems and if you choose the convertible, I rather throw my stuff on the backseats under the draught-stop. Nobody can sit behind me anyway, so it`s nice extra storage room for me. And in addition to that, I really regret that I did not order the Fender sound-system. Like I said, the Composition Media system sounds really not bad with its 8 speakers but the Fender sounds better and those little silver Fender logos look so cool on the speakers. But thats my fault. 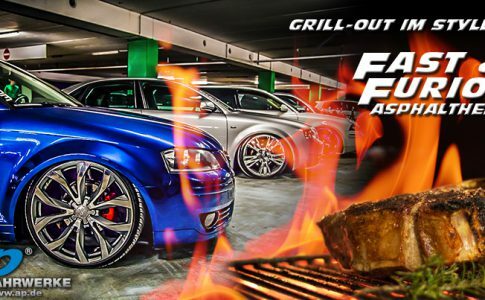 So, let`s talk about the driving experience. 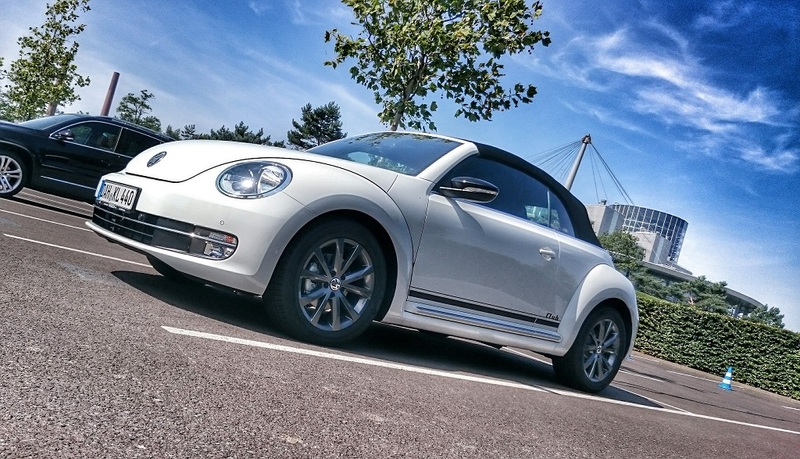 The Beetle is fun with any engine and especially with the 6-speed manual gearbox. 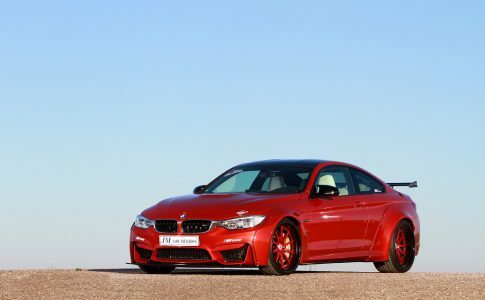 The whole package is sporty and does not have a lot of weaknesses for the every day driver. Only, if you like to pass a lot of cars on the country road it might be a smart idea to buy some extra horse powers but other than that – great job! By the way, my testcar comes with 17 inch rims, which fit the car pretty good. Maybe it needs a little bit of a lowering? 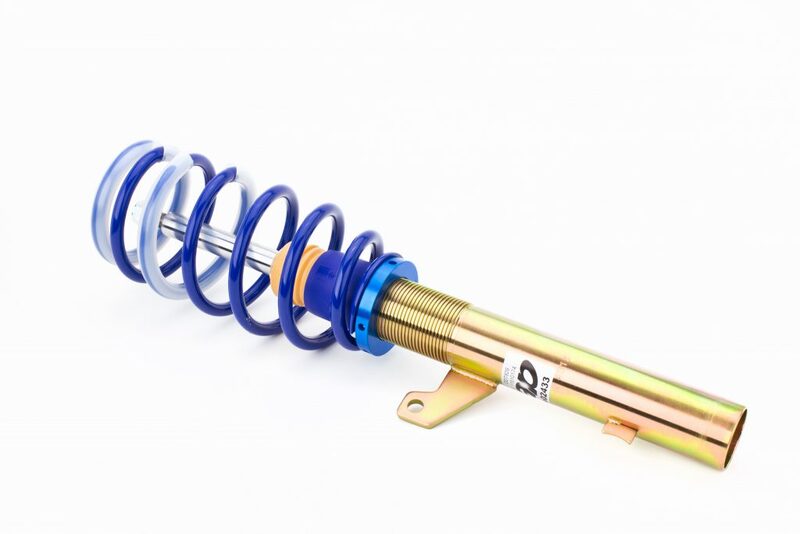 For only 529,55 Euro, the coilover suspension from ap Sportfahrwerke is now available for all VW Beetle built after 10/2011. 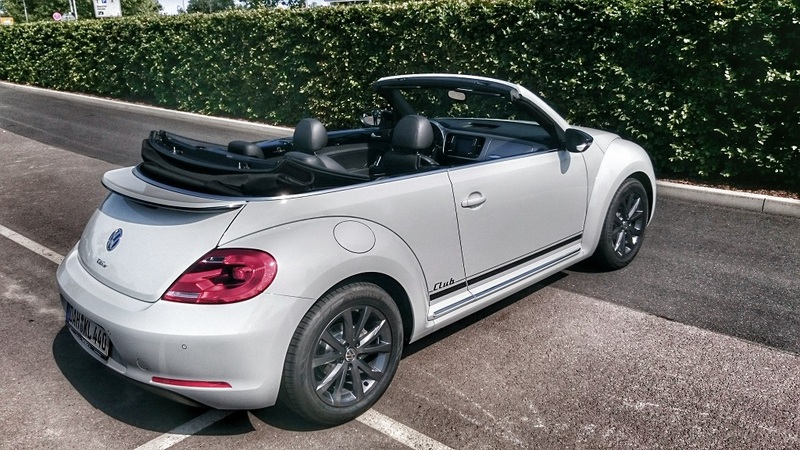 It does not matter if it is a Beetle with twist beam or multi-link rear axle. 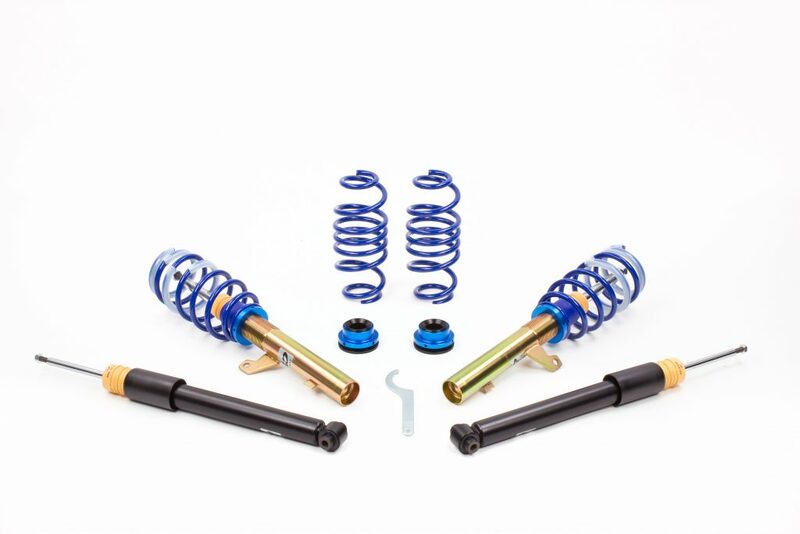 All VW Beetle can be lowered with ap coilover suspensions at the front and rear axle between 35 and 65 millimeters each. Of course, this is also possible in the installed condition. 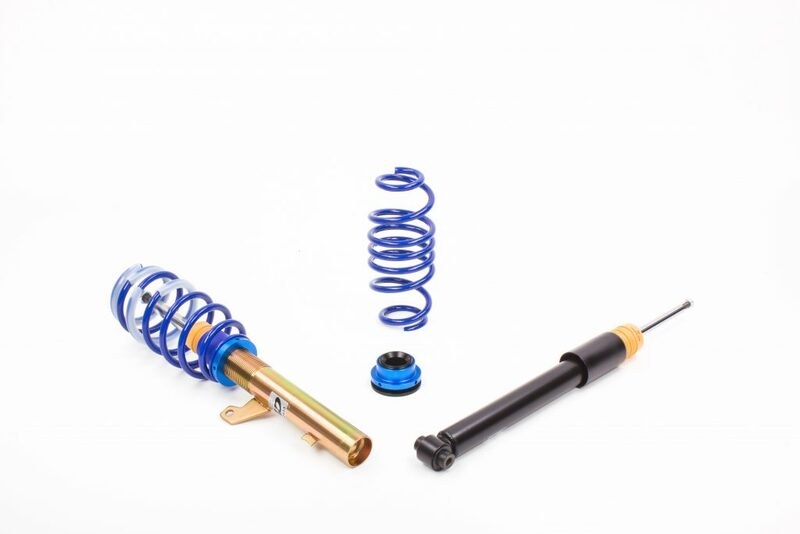 In addition to the lowering, the VW Beetle also benefits after installing the ap coilover suspension by a tighter handling and a sufficient residual comfort.